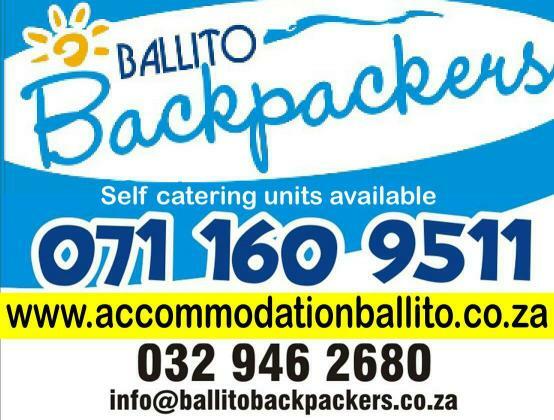 We are an upbeat Backpackers set in the heart of Ballito,although we strive to please guests of all ages and walks of life we are very popular amongst the youngsters who enjoy the wide range of night life that surrounds us. If its a more relaxed stay you looking for you just have to stroll across to the beach where you may set eyes on our local dolphins that feed along our coast.Or you can take a walk along our boardwalk that stretches along our beaches. There is a large selection of restaurants providing great food and cocktails to suit all tastes. If its a haircut or massage u need its all just around the corner. And if none of this is your cup of tea just speak to our friendly staff to help you find exactly what you looking for to make your stay an enjoyable one.